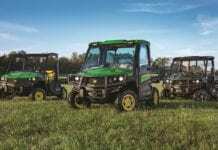 CARY, N.C. (Aug. 5, 2014) — John Deere is offering two new special edition Gator™ utility vehicles bound to turn some heads. The Midnight Black XUV825i and Midnight Black RSX850i are designed for those customers yearning for a John Deere Gator like no other. Their special status is highlighted by a custom matte black paint scheme with charcoal gray graphics. 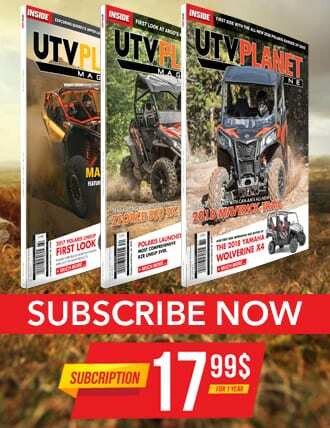 The vehicles are available now in limited quantities at select dealers. The highlight of the 50 hp., 812 cc XUV825i Midnight Black Special Edition Gator is the custom matte black paint scheme with charcoal gray decals. The heavy-duty model is outfitted with a sport steering wheel, power steering, high performance exhaust, a long-range light kit, and poly half doors. The vehicle is also equipped with matte black alloy rims and Maxxis® 2.0 Bighorn tires. A deluxe cargo box with spray-on liner ensures hard-working performance and longevity. 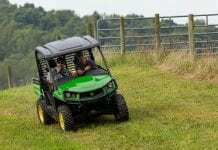 To customize the Gator further, a power and front protection package is available for customers who prefer power lift, a heavy-duty front brushguard and fender guard, as well as floor mats. The XUV model is available with either sport bucket seats or a bench seat. 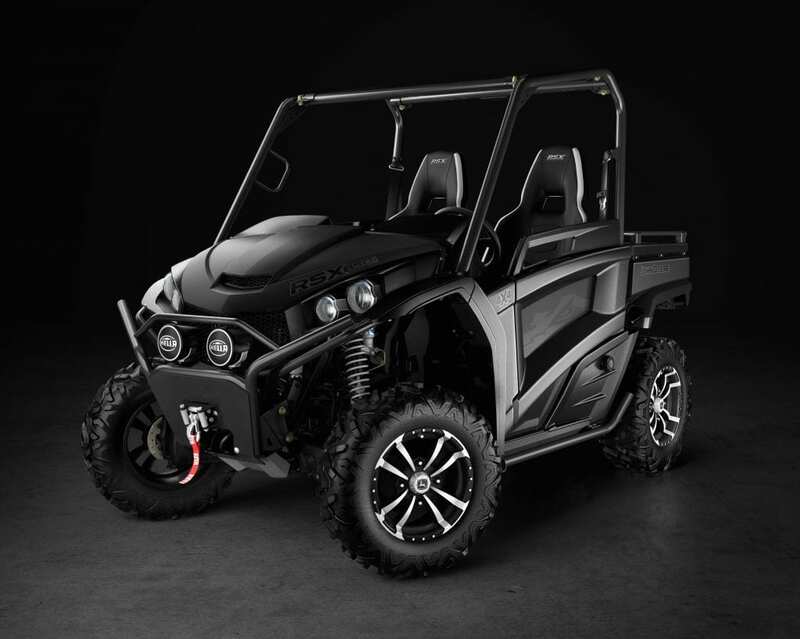 The recreational, 62 hp., 839 cc RSX850i Midnight Black Special Edition Gator also includes custom matte black paint scheme with charcoal gray decals, but with black and silver alloy rims rigged out with Maxxis® 2.0 Bighorn tires. The trail-sport package boasts a special edition door closeout panel with Gator image, PreRunner bumper, and a Warn® 3,500 lb. winch. 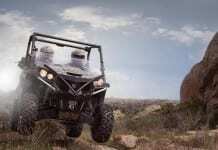 In addition, enthusiasts will also enjoy a full underbody aluminum skid plate, mounted HELLA® HID Sport lights, FOX® 2.0 Performance Series shocks, 2-inch front receiver hitch, side nerf bars, and cargo box rails. The RSX850i model comes installed with high-performance sports seats. 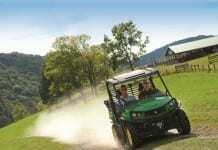 Product quantities are limited, so visit your local John Deere dealer or www.JohnDeere.com/Gator to learn more.